The last time I interviewed Mike was in April 2010, as Hyperlite Mountain Gear had just arrived on the doorstep of the Ultralight Cottage Gear maker scene. Two years on HMG has made it to the pages of several big outdoor magazines, has got high praise from Ryan Jordan at BackpackingLight.com, and has received lots of favourable reviews of their gear. Time to sit down once more and see how the company has developed. Hei Mike, nice to talk again. 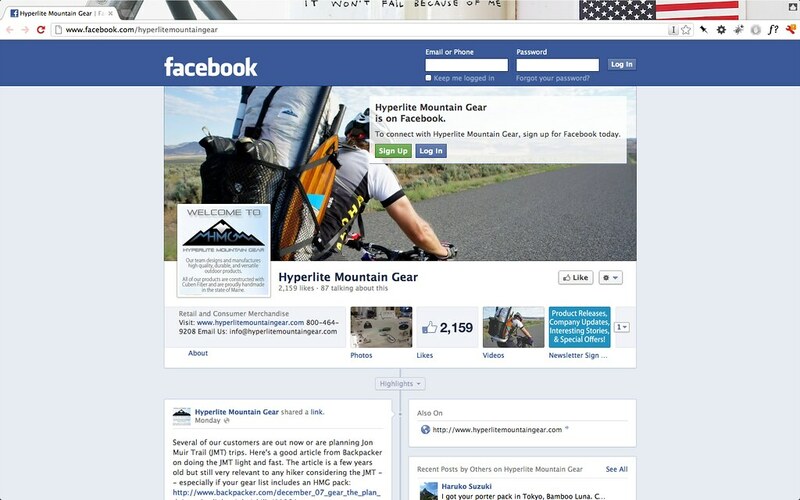 The last time we did an interview was in summer 2010, how has business been since then for Hyperlite Mountain Gear? HMG has grown exponentially since we last sat down. And its been a great ride. When we last spoke I think we were still working out of a basement and in borrowed space with only a few staff and only two or three products. 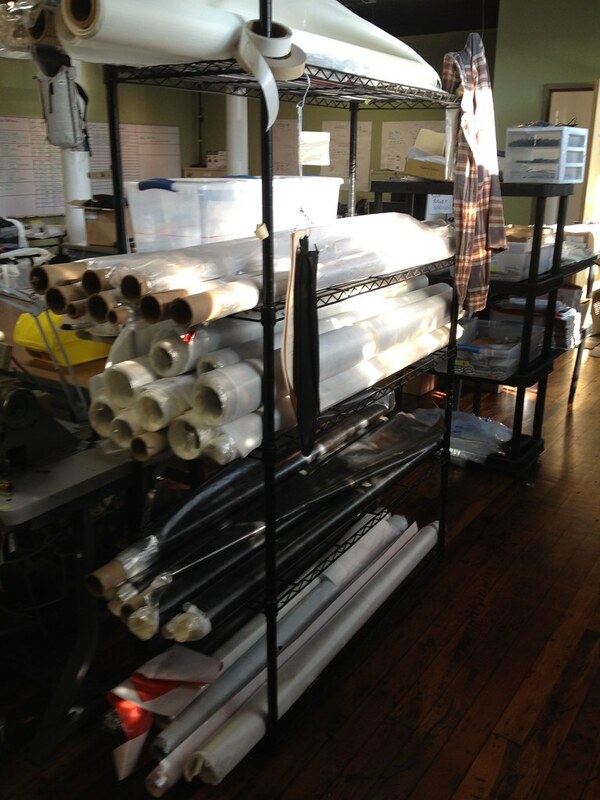 Now we’ve got a full product line of cuben fiber backpacks, shelters, stuff packs and accessories, we’ve got a great team of committed employees, and we’ve moved into 3000 plus square feet of high-tech manufacturing space. That being said, I am committed to keeping HMG small, innovative and nimble. We do not want to join the large corporate culture that seems to dominate the outdoor industry these days. HMG will continue to grow organically, focusing all of our design and product energies specifically on the outdoor athletes and enthusiasts who are pursuing a light approach to their outdoor activities. That’s what we believe in, and that’s what our customers expect from us. Do you still enjoy the cottage manufacturing business, or have there been moments where you thought “I wish I would still be a chef in New York”? Working as chef was fun, but running Hyperlite Mountain Gear is my dream job. As an entrepreneur growing a small company there are some tough days but I wouldn’t want to do anything else. I get to see my ideas become reality as HMG designs and builds cutting-edge gear, I’m surrounded by smart outdoor enthusiasts who are motivated see HMG become the leader in the industry, and I get to take my own company’s gear our on the trail or packrafting when I grab some downtime. What more could I want? So now, you told me, you’re working on implementing a lean manufacturing philosophy, something that one normally finds in technology startups. How’s the implementation going, and more importantly, what drove you to implement it? I was finding that a lot of time was being wasted by a traditional, inefficient manufacturing process. The result was higher build costs for our products and longer lead times for our customers. We carefully analyzed each step in our manufacturing process to cut out all unnecessary and repetitive actions, we optimized the flow of raw materials from the source through our production line, and we carefully repositioned the physical location of staff and equipment along that line so that, for example, a stitcher need not get up and walk across the room for a part in the middle of a build. Although most of this is invisible to our customers, I think they appreciate the results: we are able to build all our products by hand in the USA, our products have consistently high build quality, and our order turnaround times are some of the best in the market. I think we’ve achieved a level of efficiency which is unsurpassed by a company of our size in this industry. And its still a work in progress so I think we’ll get it even more dialed-in as HMG continues to grow. How big is HMG nowadays in terms of employees? 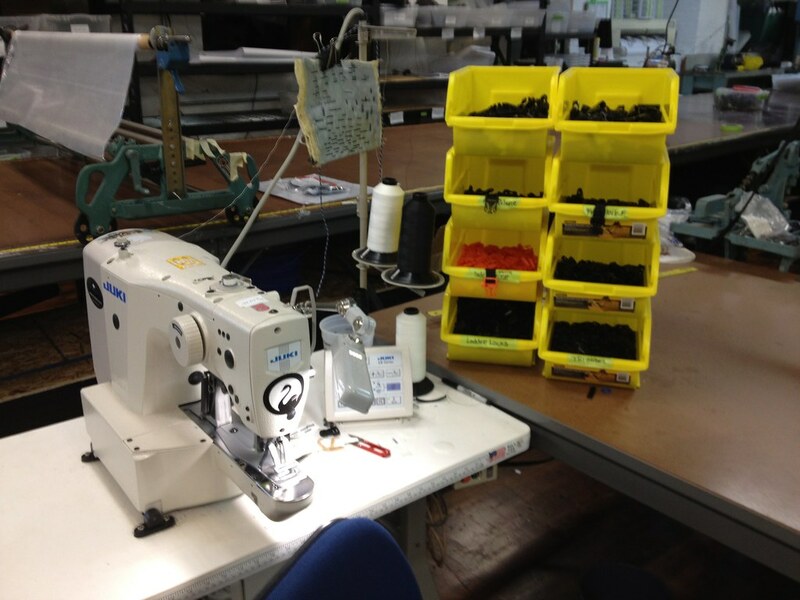 HMG is up to nine full time employees, most of whom are working in production. We also have several more part time employees. And we’re growing, so I expect to add more staff soon. Its been really rewarding to create new jobs in these difficult economic times, especially in manufacturing, a sector that has been in decline in the USA for many years. Hikers outside the USA will probably be delighted to know that they now also can buy HMG packs & shelters at Trekking-Lite-Store.com in Europe and at Hiker’s Depot in Japan. I think that’s a great cooperation for those who want to get your gear but don’t want to go through the hassle that dealing with the customs can be, and cuts down on waiting time. How did that cooperation come to be, and are there any special products for the European and Asian markets in the works from HMG? Trekking-Lite-Store and Hiker’s Depot have been excellent retail partners and both Europe and the Asia/ Pacific region are becoming important markets for HMG’s products. Both Trekking-Lite-Store and Hiker’s Depot have the same enthusiasm for innovative gear and the outdoors as we do here at Hyperlite Mountain Gear. Will built these relationships after making initial contacts at trade shows and other events like the annual Outdoor Retailer Show in Salt Lake City, Utah. I plan to slowly expand our network international retailers, selecting only those that I believe to be true enthusiasts for the light hiking and outdoor movement. I think our cuben fiber backpacks, shelters, stuff packs and accessories and our approach to design translate well into international markets and we’re seeing a lot of growth there. We’re going to continue to innovate and expand our product line across the board. 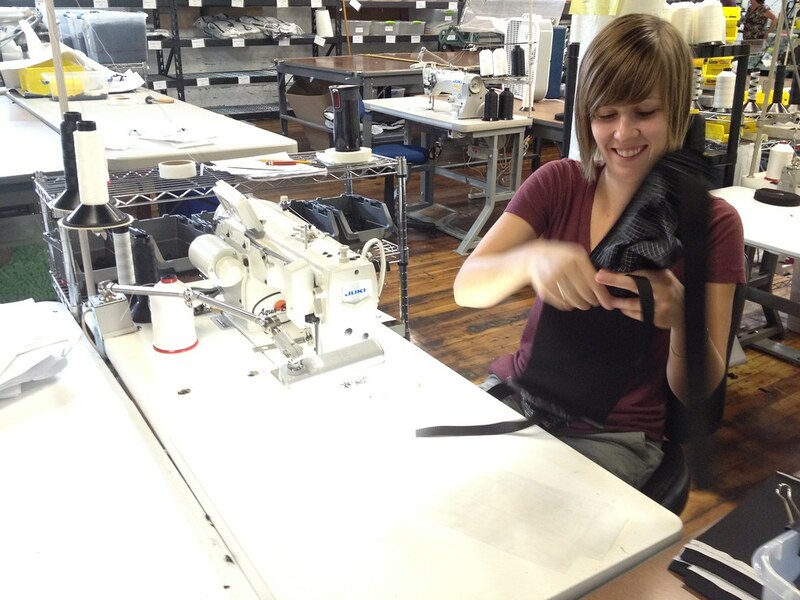 Another interesting move from HMG was to cooperate with Outlier in New York and produce a ultralight daypack for them. Did Outlier approach you, or you them, for this cooperation? Like many of the connections HMG has made, Outlier found us. I believe that if HMG puts it head down and focuses on designing and building excellent products, customers and other interested parties will come to us. We already had a backpack in development that was just exactly what Outlier was looking for, so the fit was obvious. GoLite has been accused of selling out as it moved away from its core business in really lightweight gear, have you heard such acquisitions already, given that you’ve been branching out a bit already (but always staying very light with your daypack for Outlier and the IcePack)? We haven’t heard much of that, but I expect there will always be a few detractors for any decision a company makes in this industry. Hyperlite Mountain Gear is committed to building packs, shelters and accessories which pursue the light approach to the outdoors. We want to offer our customers durable, lightweight, well designed backpacks, shelters and other products that will help them increase their speed, distance, efficiency and overall enjoyment of the outdoors. That’s what I get up every day to do and that’s not going to change. So long as we focus on that, I believe HMG will succeed. I don’t get hung up on light vs. ultralight and I don’t see this as an approach that is reserved only to the elite or to one type of outdoor pursuit, I see the light approach to the outdoors as a methodology that can be a great benefit all level of outdoor enthusiast across all types of outdoors sports and activities. HMG is working to spread the word. Can we expect more changes in your business model in the future, or will you keep on selling direct, with a few selected online shops overseas carrying your gear, as well as some cooperations? Hyperlite Mountain Gear is going to continue our focus on direct-to-customer sales via the internet while slowly growing our network of retailers in select markets. We want to grow the retailer network, because it allows customers to interact directly with our backpacks, shelters and other products before purchasing and, especially in international markets, it allows us to avoid some of the time and other difficulties involved with shipping. We plan to expand our retail network slowly, by developing long term relationships with retailers who I believe to be true enthusiasts for the light hiking and outdoor movement and have top notch customer service. Regarding direct-to-consumer sales, we love dealing directly with our customers. No call centers, just a group of committed HMG staff who actually answer the phone or write back personally on email when customers contact us. In addition to great design, great customer service is the second plank in the foundation of HMG’s business. Which brings us to the HMG product line. You adjusted your products after getting feedback from users and reviews, and introduced only a few new products - the Porter/ Expedition Packs, the Ice Pack and the Stuff Pack, the Hammock Tarp and made the Windrider available with Spectra Hardline pockets as the Soutwest, plus some smaller items. Are you secretly designing & testing the next big thing, or is this it for the time being? 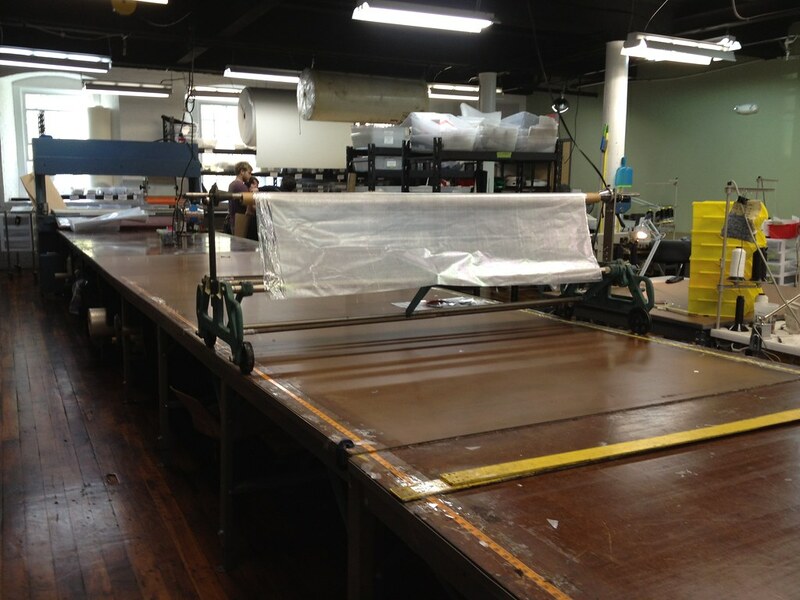 I love innovating and we’re always working on new products at HMG. Some never make it off the back of the cocktail napkin, but some, and we’ve got a few in the R&D stage now, will be added to our product line as soon as we can perfect the designs and complete a thorough set of real world, on trail testing. We’ve got a few products that we plan to roll out in the short term, including a removable accessory pocket for our Summit Pack which will be similar in function to the Stuff Pocket we offer as an accessory for our Porter Pack and Expedition Pack. We also plan to add to our line of stuff sacks. Longer term we’re excited about adding one or more significant new products to our shelters line and we’re going to continue to expand our packs line with additional activity-specific packs, like our Ice Pack which is targeted at the ice climbing community. 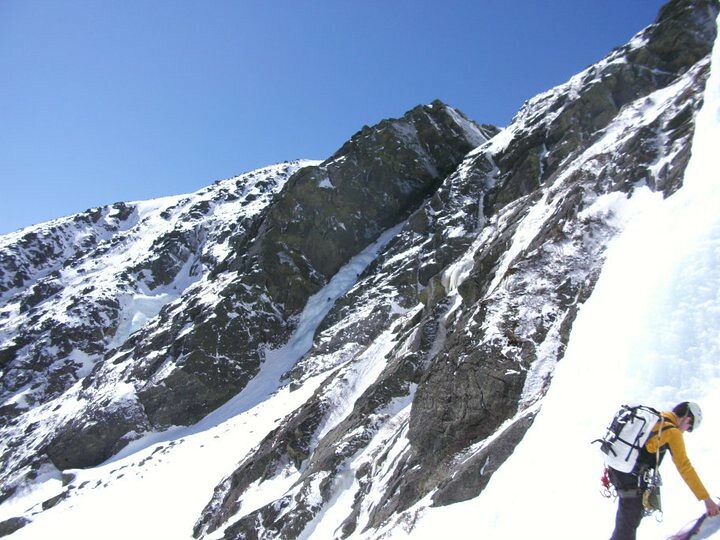 Look for Hyperlite Mountain Gear products addressing the mountaineering, backcountry skiing and packrafting communities. Any intentions of starting to branch out into other segments, for example offering quilts and bivys? I’m always looking at ways to spread the “light” approach and our core cuben fiber-based technology. We have no specific plans to get into other segments. But I would say, watch this space. HMG will continue to innovate. We’re not just making a few cool packs at HMG, we’re looking to be on the leading edge of an industry-wide refocusing on the benefits of light, efficient and design-lead gear. So what are the waiting times for HMG items at the moment? We have recently put significant effort into building our inventory of completed products so that, even in rush periods, we are simply pulling a orders from the shelf rather than custom building as the orders come in. 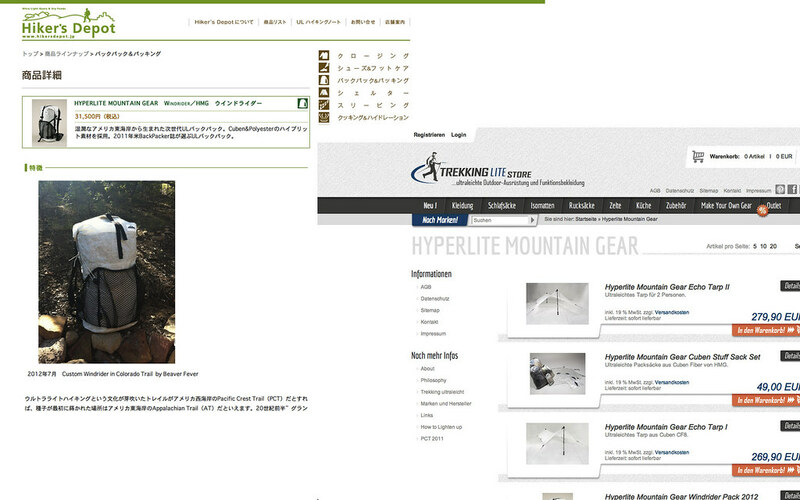 I think this differentiates Hyperlite Mountain Gear significantly from other smaller gear manufacturers. 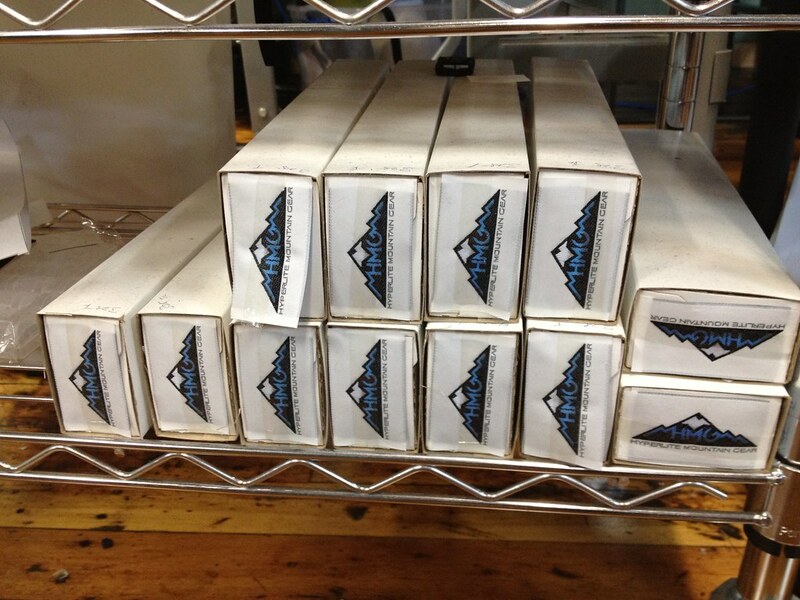 If you are ordering a product we have in inventory we take only a day or so to turnaround and ship the order. If there are custom features that needs to be added to your order or if we do not currently have the product in inventory, a one week lead time is typical. Lets talk a bit about Social Media. HMG is active on Twitter, Facebook and Youtube, and you have a good following on these channels. Was it an easy decision to join them, or did you ponder about it, wondering if there is much sense to invest time in being present on them, interacting with (prospective) clients instead of sewing packs and shelters? Social media has become an absolutely necessary tool for reaching and communicating with consumers in the outdoor space, especially for a small company like ours that does not have a large traditional advertising budget and can’t be at every show and event. Reaching our community, primarily through a social media presence on Facebook and Twitter has allowed HMG to build a successful and growing direct-to-consumer sales business and it is simply the quickest and most direct means of sharing happenings at HMG with those who may be interested. We also have our own blog on the Hyperlite Mountain Gear website which gives us a platform for longer articles and more meaningful discussion of topics. But social media does require time and there is a learning curve. Consumers in the outdoor industry are smart and they rightfully demand meaningful content, not just a series of push ads. Creating that content and then keeping up with the engaged followers is both the trickiest and most rewarding part of social media. Lets talk about the sustainability of HMG. Do you use electricity from renewable energy at your new facility, have programs in place to cut down & recycle waste and maybe even have plans to offer credit for old products and recycle them for your customers like e.g. Klättermusen does it? For now, we’re on the grid, but I am pleased to report that our new office and manufacturing facility is located in a 100-plus year-old textile mill complex in Biddeford, Maine that, instead of being wastefully torn down and replaced, is being carefully redeveloped as a sustainable urban community. Among other things, the mill complex is planning a single-stream recycling program, will be linked to local commuter transport to get folks away from using their cars and will have green-roof gardens. HMG is proud to be an anchor tenant in this green redevelopment. HMG could for example accept old packs and tarps back and give the person some store credit, and recycle them into stuff sacks, prolonging the life of the material - what do you think about that? Its funny you ask about pack recycling because that is something we’ve recently been working on. There is the possibility of recycling some used HMG products into stuff sacks or other small items that could be re-sold. But we’ve been thinking more broadly, along the lines of allowing any customer to trade-in their old pack, no matter what the material. The trade-ins that are in useable condition could be cleaned and donated to charitable organizations which distribute such items to folks in need like school-age children who cannot afford book bags or the homeless. And the trade-in packs that are unusable could be stripped for re-usable parts and material with the remainder possibly being shredded and used as filler or stuffing for unrelated products. These concepts are something we are working on at Hyperlite Mountain Gear. We see this as another area where we can innovate because we are small and nimble. HMG would like to set an example for the broader outdoor industry. Finally, who are your customers nowadays? Avid backpackers and thru-hikers who’re out every time they can and who value durable yet light gear, or are there also more “normal” backpackers who somehow find your products and try them out? 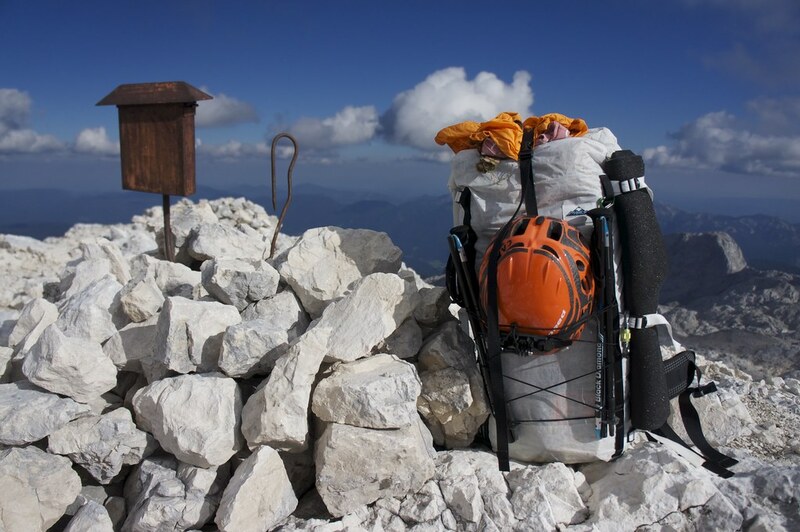 Our primary customer base remains the avid backpacking and hiking consumer. These are the people who are most likely to have already adopted the light approach to the outdoors, and if they haven’t already made the jump, they can at least readily appreciate that going light will increase their efficiency, performance and enjoyment of the outdoors. We have also made inroads into other niche communities of outdoor enthusiasts, such as the ice climbing and packrafting communities, each of which also readily recognizes that lighter is better and appreciates the durability of our cuben fiber-based products. But we have an ever growing number of less avid outdoor enthusiasts who come across our products on the shelves of retailers or by seeing them in action on the trail. We love to help these consumers make the jump into an approach that might take them to the next level. Hyperlite Mountain Gear has been featured in a few US outdoor magazines if I remember correctly - how does that work for you? The day the magazine comes out the people flock to the site and order your gear till the shelves are empty, or is it less wild? HMG has been featured in several major publications, including Backpacker, Trailrunner, Outside, and most recently, Petersen’s Hunting where the Echo Shelter System was given this year’s Editor’s Choice award for tents/shelters. Each time we get some of this nationwide coverage we do see a jump in phone and internet traffic and orders, but its not as dramatic as all that. This type of publicity helps HMG grow and helps us get the word out about the light approach to the outdoors, but its still organic measured growth. And we like it that way. Alright, that’s a wrap from my part. Anything you want to add? Thanks for taking the time to do this interview! The team at Hyperlite Mountain Gear really appreciates all the great information you put out there for the light hiking community on your blog and I’m so glad that HMG can be part of that. See you on the trail!